We are a Montessori Preschool and Kindergarten located in Windsor, New Jersey. We are unique in that we also offer part-time options and our school is run out of a large beautiful home with lots of space to play and learn. 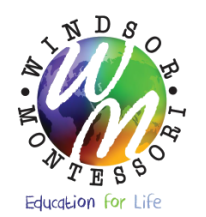 Windsor Montessori's academic philosophy is based on authentic Montessori principles for students who are toddlers (2 years) to lower elementary age (6 years). Montessori principles rely on core values that guide the daily practice of the school, focusing on independent learning activities, developmental curriculum, and a respectful community of learners engaged within a carefully prepared environment. Come experience our educational and nurturing environment with all its beauty, unique design, and purposeful activities by allowing us to give you a personal tour at one of our schools. We invite you to learn about the Montessori philosophy and its accompanying methodology so you too can be awed by its potential to support and guide children to reach their highest potential. It is our hope that your visit to our school will be very warm and inviting. If you have any questions or need additional information, we would love to hear from you. Please come visit us for a Tour or Contact us for more information!